You’ll start to notice as you read more and more of our posts, that the Asian food infatuation comes, not from the actual Asian half of queer in the kitchen. They are provided by the other half who grew up in a setting not unlike “Little House on the Prairie”… Nelly and all. Growing up in a rural setting as I did, any food that wasn’t canned or had formerly wandered around our back yard seemed so “worldly and exotic”. Naturally, Chinese food being so prevalent in Southwest Missouri, I latched on to the dishes and flavors from the East. In retrospect, I don’t recall ever seeing an actual Asian person in my youth. So the likelihood that any of the dishes I came to love being authentically Eastern are zero to.. well none. Nonetheless, crab rangoons have always been one of my favorite Asian foods. And these, while being much fancier than the rangoons of my youth, did not disappoint. 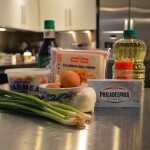 Now, having an Asian best friend that knows exactly NO Asian recipes… Entirely different story. Combine first seven ingredients in a bowl and mix until combined. Keep cool until you’re ready to start frying. In a deep saucepan, with a fry thermometer attached, over medium-high heat, heat 1-2 inches of oil to approximately 350 degrees. When frying you’ll need to adjust temperature up and down to maintain a steady temperature. Make an egg wash by mixing the egg with the water. 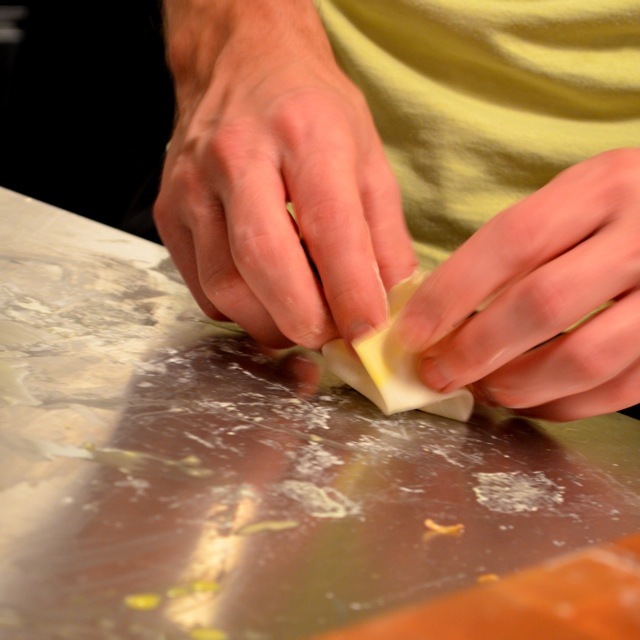 Assemble rangoons by placing a imperial roll wrapper on a flat surface. Brush egg wash around entire border of wrapper. 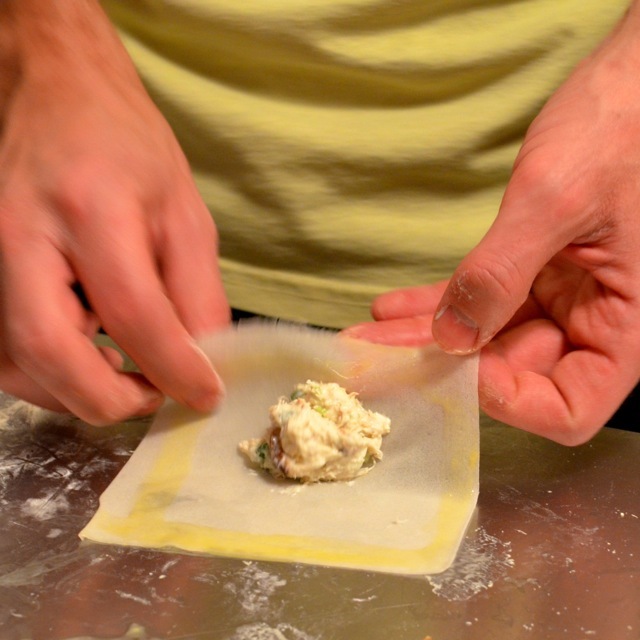 Place approximately 1-2 teaspoons of crab mixture in center of wrapper, then fold in half and seal all edges. Next, gather all edges together and set the rangoon upright. 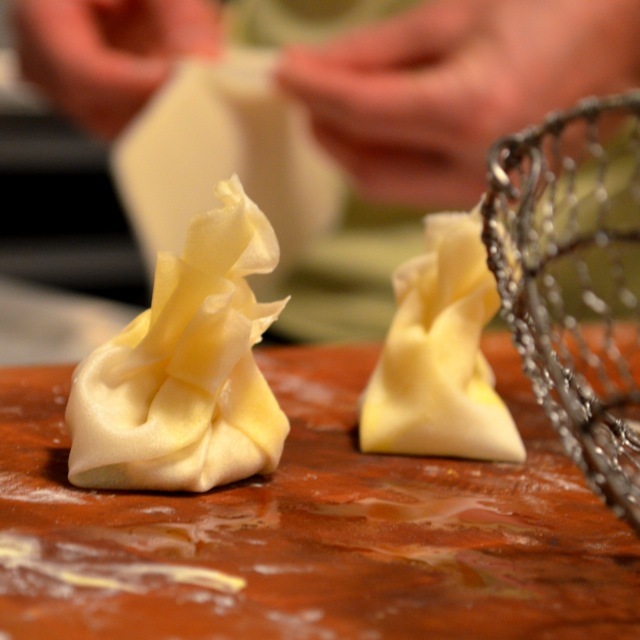 In batches of 3-4, transfer rangoons to oil, slowly and carefully. Fry for about 4-5 minutes or until golden brown. Remove and let cool on wire rack over paper towels. One Response to "crab rangoons"
This was fun to read. 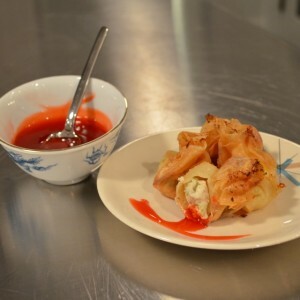 As a kid, like you, I thought anything with sweet and sour sauce was oh so exotic and the height of sophistication. It was nice to see how you did this. I just did a recipe makeover for crab rangoon last week.